Short Makoto Shinkai piece that talks about the technical specs of the computer he used to put together The Place Promised in our Early Days. 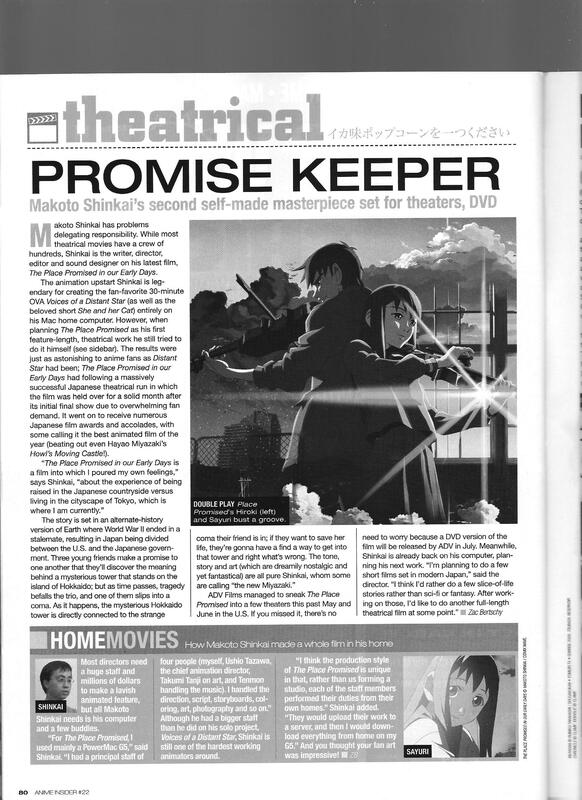 This entry was posted in Old Magazine Articles and tagged Anime, Borderline Plagarism for the Freedom of Information, Makoto Shinkai, The Place Promised in our Early Days by torisunanohokori. Bookmark the permalink.